Glad that you were able to join us for the third annual Orange Ya’ Glad it’s a Blog Hop! I am the fourth stop! If you have hopped with us in the past, some things will be familiar, and some things will be new! Let’s talk about Feature Friday. This year, I really want my students to take ownership of their writing. I want them to be engaged and to interact with each other throughout the process. My hope is that Feature Friday will make this happen. 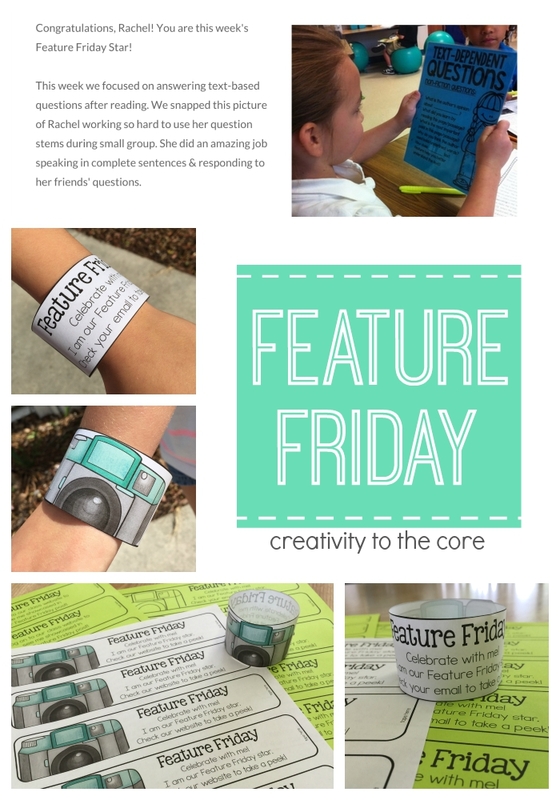 Feature Friday is an interactive way to integrate technology and writing. Students take photos throughout the week on iPads, iPhones, or with cameras (whichever you have access to!) of any classroom happening, activity, or student that interests them. Then, on Friday, you pick one photograph to share on your classroom website. It is important that you choose pictures that students have taken. This keeps Feature Friday genuine and kid-centric. The student or students who are pictured in that chosen photo become the Feature Friday Stars! 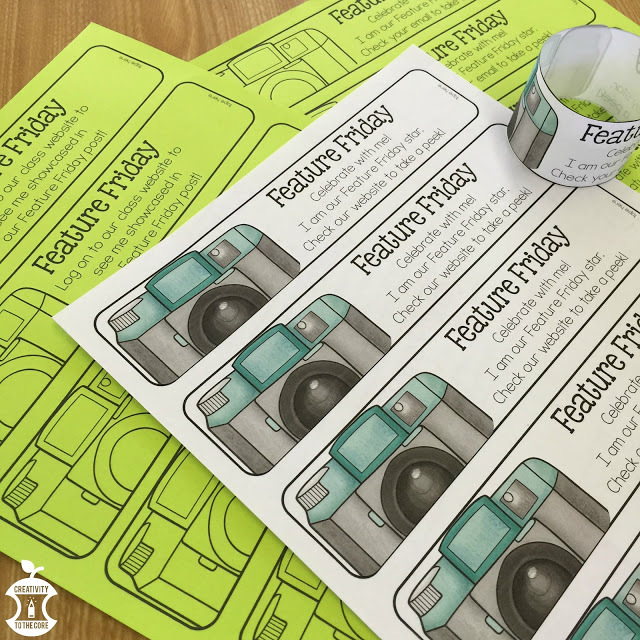 Feature Friday is not only a fun way to share photos, it is also a great way to get students to write about what they see! My kindergarteners will be able to write about our Feature Friday Star the VERY first week of school because we will write orally first, and then I will type directly onto our classroom website as we repeat the sentence. 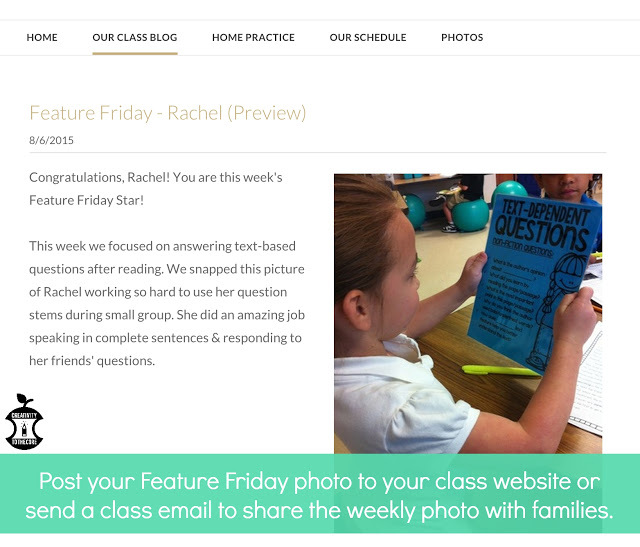 Here is an example of a Feature Friday post on our classroom website. If you do not have a classroom website, you could simply send an email to your entire class with a picture and a few sentences to explain it. If you are interested in using a classroom website, check out Weebly.com. It is super easy to use, looks very professional, and it’s FREE! We all know that families are busy and it is often difficult to get them to regularly check the classroom website or read the weekly newsletter. This year, I have decided to ditch the newsletter. I am going to solely rely on Feature Friday. How? Feature Friday bracelets. Every Friday, when I pick one photo from the week, I will project it on the board. The students and I will congratulate the Feature Friday Star (the child in the photo) and present them with their Feature Friday bracelet before we write the description together. The bracelet will be taped around their wrist so that family members see it. Imagine the excitement from my sweet students when their picture has been chosen, they have been congratulated in class, they received a bracelet, AND they get to share it with their families! My hope is that parents and relatives will be just as excited! 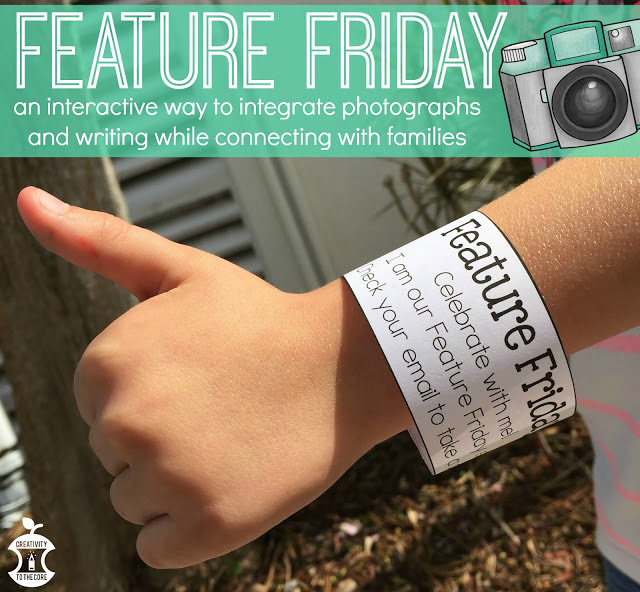 Teachers, here’s the exciting part…The Feature Friday bracelet prompts families to check the website (or email) to see their child as the Feature Friday Star! I am so excited to integrate collaborative writing in this simple, yet creative way for students. I think it will really help them to understand that all pictures can be written about and shared with others. Sharing the pictures on a website or emailing them to parents, will make children SO proud of themselves. …And, as an added bonus, it will draw parents toward your classroom website. What more could you ask for?!? If you’d like to start Feature Friday in your classroom, grab this Feature Friday bracelet freebie! Once you’ve solved the puzzle…take a picture of the answer. 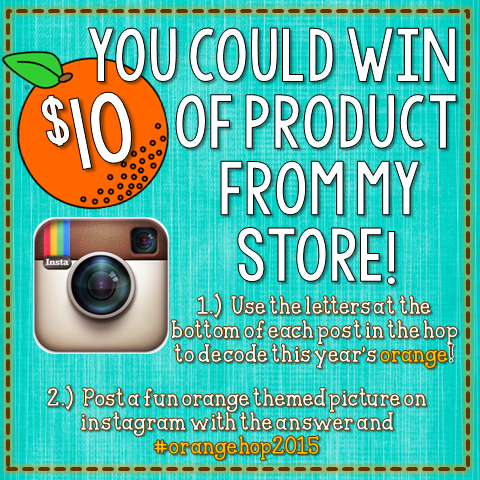 Post it on instagram and hashtag it with #orangehop2015. 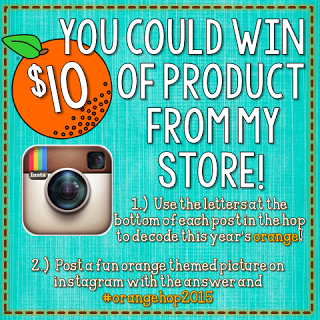 We love original ideas…so, do something fun with your image! 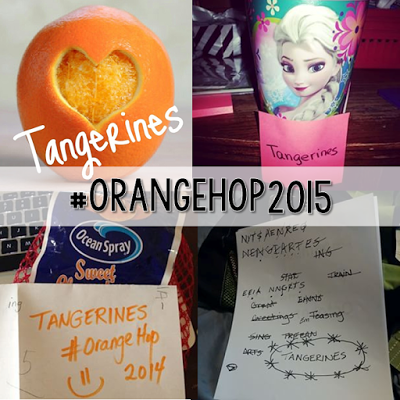 Check out some images from last year’s IG hop below! 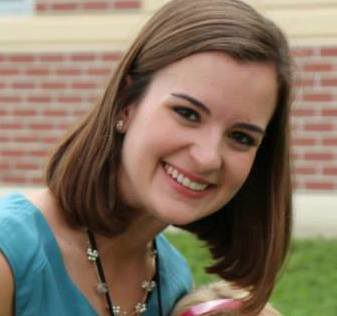 Next up on the hop is…Sabra from Teaching with a Touch of Twang! This is such a great idea! 🙂 The kind of classroom energy you're generating with it is sure to get parents to check out your classroom updates! 🙂 This looks like so much fun to try! 🙂 I need to get a bit more techie…so, this might be just the way for me to do it! 🙂 Love the student engagement component so very much! 😉 Thanks for this!!! I absolutely LOVE this idea! Student centered, involving families, you've got it all! Thanks for sharing! I love the idea of kids being the photographers throughout the year. This is such a great idea! I absolutely love it!! I plan on having a class instagram page this year and can easily see how to incorporate Friday Feature with pictures taken by the students. Thank you! I am trying something similar this year with a student being the photographer for the week. I want to post one daily, but writing about it on Friday is a great way to add details to the photos! Thanks for a great idea (I may even "feature" the writer for the week! Such a fun idea! What a great way to make students feel special! Thank you for sharing!